We are happy to look back on a successful and busy Heimtextil 2019. The enthusiastic response to our new products was amazing. We were very proud showcasing great product developments like the new AC Shuttle®, the DS XL® LED Motorized and the Diamond Sense remote control. 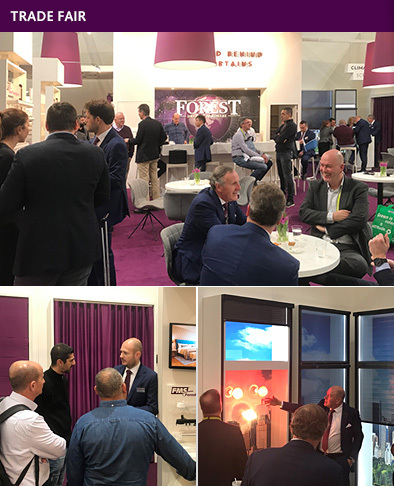 Visitors also discovered our brand new curtain rod system, new roller blind fabric collection book and our latest label of the Forest family; Climat Screen. We are already looking forward to next year’s expo! Before that, meet us at other trade fairs around the world. In the next two months you can find us in Shanghai, Sri Lanka or Nashville. As you are aware, Forest Group also offers a complete range of roller blinds fabrics, suitable for all roller blind applications. 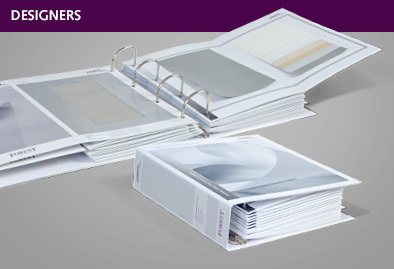 For 2019, we have added an extra book to the collection, the Eclipse Designer Collection. Whether it’s a full blackout, partially transparent or screen fabric, with lots more options to choose from, the perfect roller blind is now available from Forest Group. 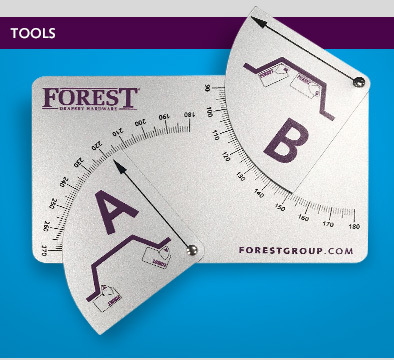 Forest offers a special Angle Finder to measure the inside and outside curve radius. It is super easy to use and the best part is that it is fast and accurate. It is now back on stock! 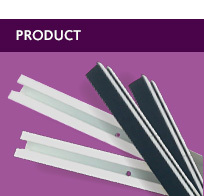 Did you know that the recess version of the KS® track can also be bent? The pre-drilled profile can be bent on the standard KS® Bending House with the KS® Recess bending wheel at a radius of just 10cm. The profile can be fitted perfectly flush with the ceiling. 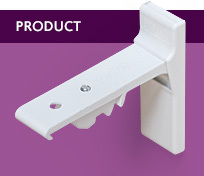 Using this rail ensures a finished look and is suitable for all medium weight draperies. Available in white and black from stock. 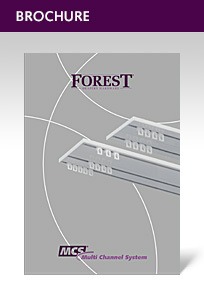 For the ultimate finished look, Forest Group offers special cover caps for the smart klick brackets. The cover is easy to attach; it will only take a few seconds. It ensures that the screws are no longer visible. The cap is available in all common colours and is packed per 100 pieces for the ceiling brackets and 50 pieces for the wall brackets. We are delighted to share that our brand new Multi Channel System (MCS®) brochure is out now. The renewed version provides you detailed information about the latest MCS® track 2/3 glide. Go to our download section at our website and get the online brochure.